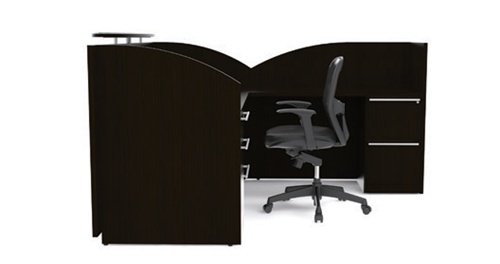 The growing popularity of executive office furniture has never been greater. All things considered, this has flooded the market with a variety of excellent products and some that are not so great. In today's post we will take a look at the Verde executive furniture line by Cherryman and what makes it so special. Verde office furniture is ideal for both home and business use. The entire collection is available in two attractive finishes and features a variety of quality conference tables, reception desks, and executive desk configurations. It makes a positive professional statement when you outfit an office with the same line. Providing a cohesive look and feel really sets the tone for the type of business you work at or run. It's also very simple to achieve with lines like Verde. The contemporary style of this furniture collection make it a very crowd pleasing and popular choice amongst coworkers and staff. Verde is also very respected throughout the furniture community and is considered one of the more classy casegood collections. In the long run there are dozens of executive furniture lines on the market to consider. Verde just happens to be one of our personal favorites. It's a line that commands industry respect and that you can truly rely on. The quality manufacturing and attention to details make Verde an excellent executive furniture solution. 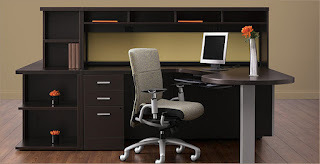 The Office Furniture Deals Blog is now up and running! We are excited to share news and deals for all things related to furniture and seating. Here our visitors will find awesome coupons, product reviews, and much more. Additionally, this blog is directly connected to OfficeFurnitureDeals.com; a respected furniture dealer throughout the U.S. We look forward to networking with our readers and hope to make lasting relationships with them. Thanks for stopping by!